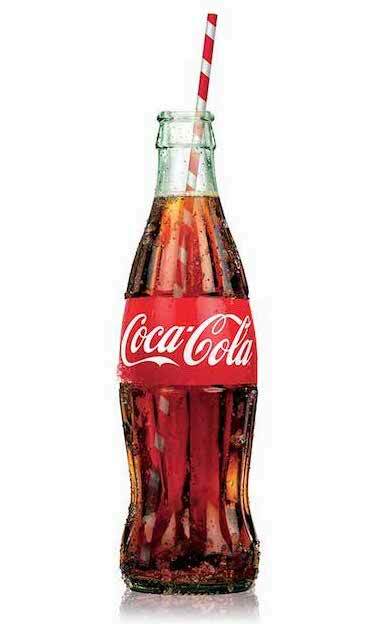 When was the last time you drank a Coca-Cola? Maybe you had one today, or maybe not - it may have been days, weeks or months ago. Maybe it’s been years or you have never tried one. Now, close your eyes. What do you see when you think about Coca-Cola? Lots of images probably come to mind! You may picture a red can or glass bottle bubbling and gleaming with condensation. Around Christmas time, you may be more likely to picture polar bears or the Coca-Cola display we see at Tesco. You may even recall that several weeks before Christmas, the Coca-Cola lorry came through your city, all decked out for the holidays, and parked in front of the main shopping centre. Whether or not they last drank a coke that day or ten years ago, it’s unlikely anyone passed by that lorry not knowing about Coca-Cola or having distinct imagines about the brand in their mind. So why would Coca-Cola spend millions of dollars on advertising each year if these efforts don’t immediately lead to hundreds or thousands of people dashing out of their homes and purchasing a Coke? It’s simple: they are keeping their name in front of consumers everywhere so that their brand is top of mind. That way, when the time does come to order a drink at a restaurant or pick up some bottles for a holiday party, the first brand the consumer will think of will be Coca-Cola. We all need to adopt the Coca-Cola approach in our marketing efforts. For example, social media tools such as Facebook shouldn’t only be viewed as an opportunity to get new inquiries for your practice, but rather as a chance to get your brand in front of consumers and colleagues so that it is top of mind. Then, when someone needs your service, they will recall your frequent posts or the testimonial of a satisfied patient you posted and they will choose your practice because it is top of mind. A large part of marketing is simply brand exposure and word of mouth. This may look different for each business depending on the size and marketing budget, but everyone has the opportunity to keep their brand name at the front of consumers' minds. The end goal is to make it so that when a consumer wants a “Coke” or finds themselves making a recommendation to a friend, it’s your practice they choose.